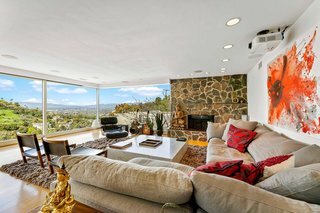 Enjoy incredible views and the drama and glamour of a Richard Neutra design in this updated midcentury residence now on the market. 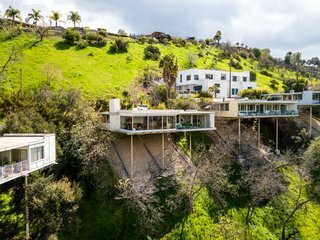 In 1966, famed midcentury architect Richard Neutra completed 3737 Oakfield Drive, one of 17 distinct "stilt homes" in Sherman Oaks, California. 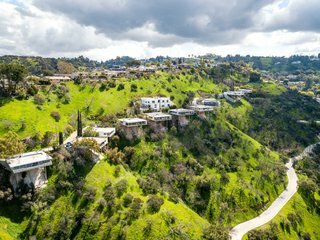 Sited with dramatic views overlooking Beverly Glen, the homes are known as Platform Houses because of their large cantilevering volumes that jut out above the steep slope of the valley below. 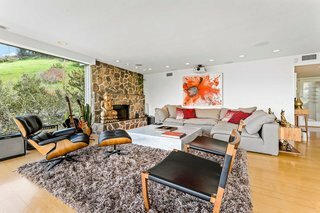 Designed by renowned midcentury architect Richard Neutra in 1966, 3737 Oakfield Drive is now on the market. 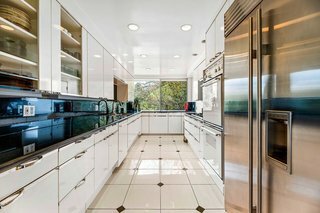 At 1,800 square feet, 3737 Oakfield Drive incorporates classic elements of Neutra’s California homes, including broad expanses of floor-to-ceiling glass, a simple, open floor plan, and a strong horizontal emphasis. 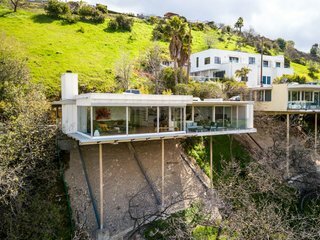 The property is one of 17 stilt homes Neutra designed between 1962 and 1966. The building appears to be a typical midcentury residence from the street, with an overhanging flat roof, stucco and wood cladding, and simple punched windows. 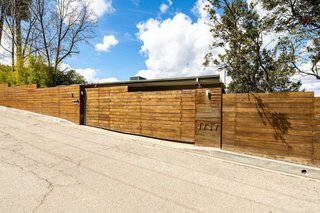 On the street-facing side, the home has a privacy fence made from wood and weathered steel. This impression is completely upended when one enters the two-bedroom, two-bathroom house. The back of the home features large, floor-to-ceiling glazing and an open living/dining space. An original wood-burning fireplace clad in fieldstone provides a textured, earthy contrast to the glazing. The open living and dining area are oriented towards the grand expanses of windows overlooking the valley beyond. The home has undergone a series of updates over the years while still retaining its original character. New systems include Sonos and smart home Control 4 technology, push-button automated blackout shades, a drop-down projection screen, a theater-grade projector, and a 7.1 sound system for the ultimate home theater experience. The single-story residence has an outdoor terrance off the living and dining area. 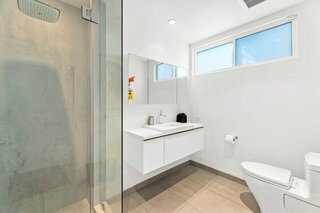 The updated kitchen and bathrooms feature stone counters and simple white cabinetry, while the master en-suite bathroom has heated floors and a steam shower. Recent updates include a renovated kitchen, bathrooms, and new technological systems. An outdoor terrace can be accessed via generous floor-to-ceiling sliding glass doors. 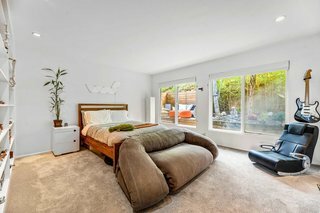 A Zen side garden and a second bedroom with a walk-in closet and garden views completes the residence. 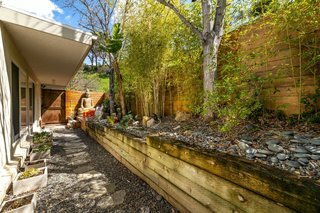 The side yard features a Zen garden with local plantings, and an area that is partially covered by a cantilevering roof. 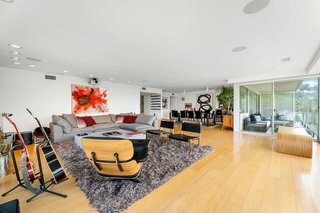 3737 Oakfield has been frequently featured in movies and television shows, and while its views may be priceless, the residence is currently on the market for $1,550,000. The warm, textured stone of the original fireplace warms up the living area both physically and visually. 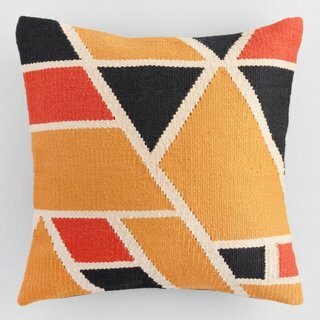 Our yellow and orange throw pillow features a geometric pattern in warm tones. Woven with thread made from recycled plastic bottles, this pillow is just right for outdoor or indoor spaces. 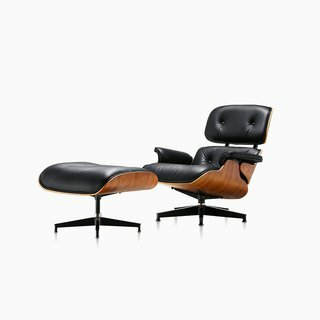 It’s no surprise that Charles and Ray Eames spent much of their careers investigating molded plywood—but when they introduced their lounge chair and ottoman in 1956, they immediately made history. 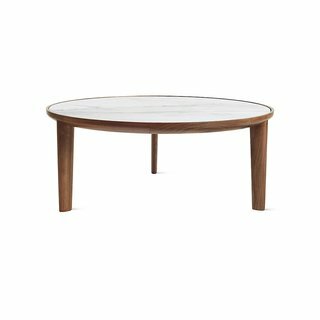 While serving in the Singaporean Navy, Gabriel Tan became aware that such a thing as industrial design existed, and a floodgate opened. He soon earned a design degree from the National University of Singapore and went on to open his own studio with an international reach. 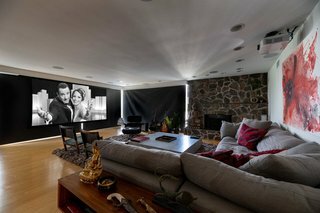 The home has a state-of-the-art theater with surround sound—ideal for movie lovers or those in the film or television industry. The updated bathrooms are clean, simple, and predominantly white, with heated floors and oversized showerheads. A second bedroom has built-in shelving and direct access to the Zen garden. 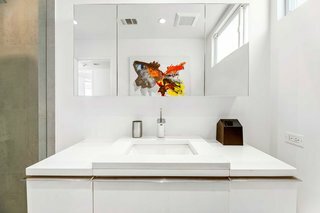 The home's two updated bathrooms have simple and clean fixtures and color palettes, emphasized by natural light from the windows. A glass guardrail on the outdoor terrace provides uninterrupted views of the valley below. 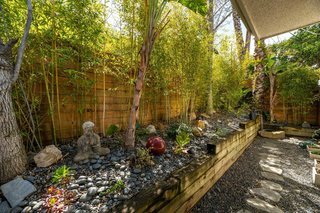 The zen garden, while small, provides a peaceful visual and physical respite from the rest of the home. 3737 Oakfield Drive is currently listed for $1,550,000 by Michelle Schwartz of The Agency.